Agreed, I would suggest they grant limited rights to a number of trusted long timers that can either delete the spam users or at least hide all posts from them until an MS person can handle it. I would volunteer for that, as Im sure would plenty of others. @Jingleton any options available to you for that? 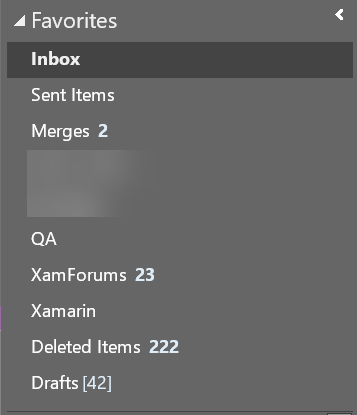 I suggest the Outlook filter I explain there. 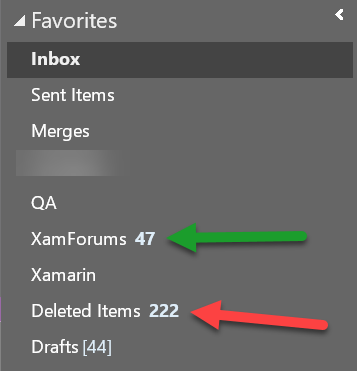 Basically set Outlook to delete all emails from Xamarin.Forum except those that have some common words that should appear in every 'real' post like "the" "this" or "is"
End result for me was hundreds of spams tossed in the trash and about 25-ish genuine messages that I give two-hoots about. Spam is an ongoing issue for all of us as it continues to evolve outside the scope of our forum host regulations/limitations. That said, we are currently in the process of adding more Forum Moderators to help assist with these outbreaks during off hours of standard support. Please stay tuned for updates and thank you for your patience while we work through this together! Is there no way to add a captcha to the sign up process? It's very easy to automate at this point in time. @Jingleton Let the users moderate. Automatically mark entries for moderation after they’ve been flagged for spam x times by unique users. If you need some coding changes, there’s plenty of people here to help. I'm not sure about letting users moderate. If it becomes a case of can people manually delete spam faster than the spam arrives, the spammers will just continue doing what they are doing. They're messing with people and user moderation would just be playing their game. More important is stopping the spammers, which is where a Captcha on new questions & discussions should help. If the spammers progress to creating spam answers then the Captcha would then go onto those too (although probably only after the Nth response from the same account each day). Similarly, making account creation more rigorous (e.g. sending a code to a mobile number using SMS that then has to be entered back in the account creation page to complete creation) should deter spammers. If Microsoft has their mobile number, that would be a deterrent. Even if the spammers used burner phones, the cost would mount up as they replaced them or replaced the Sims. It's trashing a valuable technical resource, Fed up asking MS for help on this though. You should be able to flag an individual user rather than a thread. Problem there is the spammers are generating email addresses programmatically as well. User "456", thread title "456", body "456" - pointless. It looks like it is someone's way of either deliberatly attacking the site or just confirming their 'bot code works. Here's a statistical look at last night's spam: 220-ish spams for 23 valid messages. I'm thinking they're spam farms - not bots. They're circumventing our spam gubbins (technical term) by creating "legitimate" posts and threads (sometimes to the extent of copying other posts) and then when they're whitelisted they're spamming. Captcha is something we've tried before but because they're not bots it only slows them - doesn't stop them. That said, we're discussing this alongside other options. Again, in the meantime please continue to report posts - it does make a huge difference! Can I ask if it makes a difference if I flag 1 post for a spammer or 20 for the same spammer? I actually feel like I'm wasting my time. I would much rather have limited mod access as mentioned above. I could have cleared all of the spam users earlier this morning and I pop in throughout the day. Dare i ask how someone can spam who is flagged for spam 13 times and hasn’t contributed anything other than spam. Because there are no rules coded in to prevent it. Here's what I saw as a ratio of good:spam from over the weekend, when I came in this morning. Hi Alan, I didn't get a response to my post. As of 17:30 today (BST) I have flagged something like 30+ posts this morning as spam and they are still there (they normally get cleared by 14:30 BST). So flaggins as spam doesn't appear to make any difference at all. If someone has been tasks with monitoring the spam flag count then they are doing a piss poor job. I won't bother any longer. @JohnHair The flagged posts are hidden when a particular number of users flag them - not just one user. This is to prevent users flagging other users' posts incorrectly. We're still considering our options here. Hopefully I'll have an update soon. Is that for each individual post? So only individual posts will hidden, not all for a high flagged user? Sorry, I'm not to keen going through 100s of posts flagging them in the hope that 2 (3? 4? 7?) others do the same. Hopefully those other options you chaps are considering will provide a better solution, and I would be happy to beta test any solutions you come up with. Its great to hear that one person can't retaliate against another by just marking a post as spam. Its unrealistic to think that multiple volunteers are going to go through hundreds of Chinese (and other) spams and mark them all. 2a. This has the added benefit of totally crappy posts getting a mod to tell the user to add more information before it is even seen by others. 5. Sub-forum moderators with permission to delete threads and even mark users for ban pending higher level admin completion of that process. And if user doesn't have attached profile, forbid creating posts. 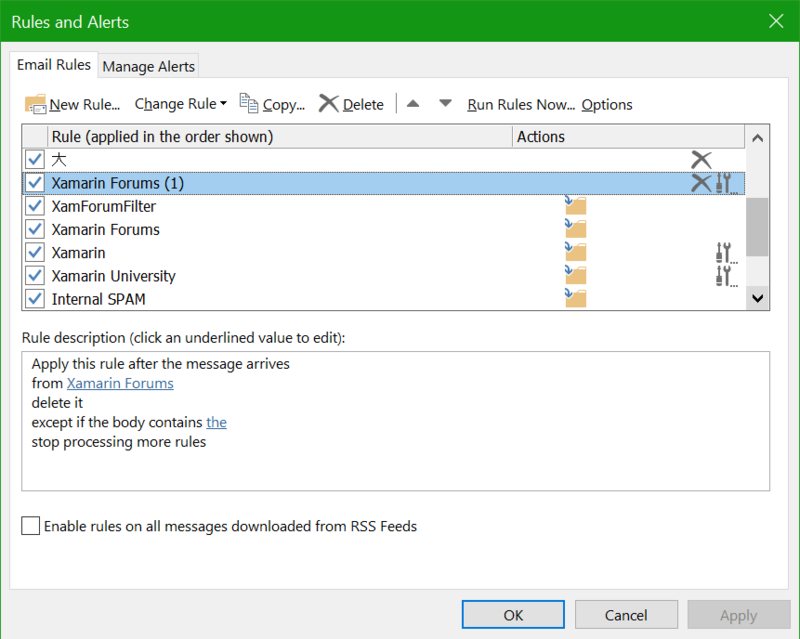 Moderators will block both xamarin-forum profile and github account of the spammer. It's more difficult to create new github account 50 times per day. Hey, what about my suggestion? Add binding to github account? Who browses? Is that a big thing for others? I never do. I get a notice in email of new topic. I usually wait to browse until the mods get on and clean it up. Usually its around a good time in my work day to take a small break. I'm going to go out on a limb and guess that the majority of forum users browse the forum rather than set up their account to send them an email for every thread. 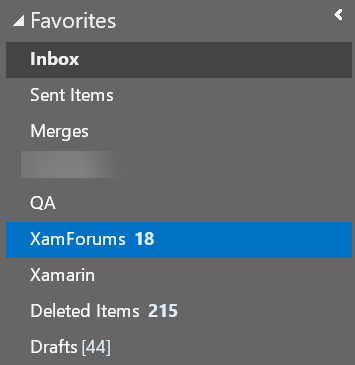 Just FYI: So much spam that our corporate email system started flagging everything from Xamarin Forums forums@xamarin.com as spam and not even letting it pass to users such as myself. I had to write our internal support department and request xamarin.com be re-white-listed because we need it as a development resource. I have no doubt that if we keep getting bombarded with emails triggering our anti-spam defenses that it will get blacklisted again, for good. Monitoring the new posts at the forum is untenable as mentioned because its 200 spams for every 2 good messages. If all the emails get blocked as well its going to throw a major kink in participation. I know I for one won't weed through 200 messages to see if there is something on the off chance I might be interested in responding to. I'm not going to spend more time filtering by hand than I do in actually writing a reply. 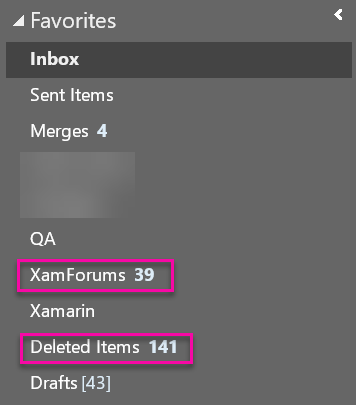 I highly encourage whomever at MS/Xamarin responsible for this mess to get something (anything) in place (even on a fast but temporary basis) before other major spam mechanisms start blacklisting xamarin.com on a large, wide-spread scale. Microsoft are not doing enough, linking the accounts to github may be the only solution. @ClintStLaurent That's going to be a real problem very soon. I just cant believe that MS has not got to grips with this yet? Maybe its not important enough. Yeah, that's my thoughts too. Hi guys. Sorry for the radio silence on this over the last week or so. We've been evaluating our options here. I think there are a number of valid points that have been raised here in this thread, and some decent suggestions on how to handle this moving forward. Tying accounts to Google / GitHub sounds like a great idea in theory, but in practise we don't want to limit who can sign up to the forums, or force them to sign up to third party services. I really like the suggestion though! We've briefly discussed Captcha in this thread. New accounts go through a Captcha step. We are certain that the spam posts are created by real people in "spam farms" - not bots. Adding Captcha forms to new posts would merely slow them down and hasn't proven successful when we've done this in the past. We've assigned a bunch more Xamarin / Microsoft employees to monitor the forums, spanning multiple time zones, and they will be monitoring spam. Today we tightened the spam filter. Hopefully this'll make a big difference to those of you who have email alerts. I'll be asking a few more members if they'd be interested in mod privileges. (I suspect that some current mods have moved on). As always, we appreciate your comments and feedback, and thanks for your patience! Seems to have gotten better over the last days. @ClintStLaurent How is the spamfilter statistic looking ?